Wow, the rush of season is finally coming to a close. We set records here on TKF with finishing Harvest by October 16. But, don’t let that fool you. Even though we finished early, we still have lots to do. I was just having a conversation with another farmer about how even though harvest finished up early this year, it seems we got even busier once the combine rolled out of the field for the last time. After we finish combining we still have equipment to clean and field work to be done. Not to mention we have been buying cattle and selling cattle the last couple of weeks. Which means lots of early mornings and lots of cattle to work. A farmer’s job really is never done. Here is that promised video on Corn Harvest 2011. My sister in law was kind enough to do most of the video footage for me since I spent most of my time in the tractor this year. This video is a video of us combining corn for feed. The corn that is coming out of the truck and going through the long pipe looking thing (auger) is actually getting cracked into smaller pieces and being wet down so it can be packed into the bunker so it is easily accessed for feeding our cattle during the winter. Once we get enough corn for feeding our cattle we either do one of two things 1) Haul the corn to town to the local co-op to sell or 2) Store the corn in bins to sell at a later date. The corn is hauled from the field by semis and grain trailers and weighed in our scale shed so we know how many pounds (and later converted into bushels) we are getting out of each field and how many pounds we are putting into our bunkers for feed. One thing I didn’t get video footage of is of us tarping this particular corn pile. We actually have two bunkers that we use for corn (very similar to our silage bunker). But, it just so happens this year the day we tarped the first one it was raining and the next time we did it in the dark. Here’s to the end of another harvest year! What a great video! Now, why do you store your corn in bunkers instead of bins? I think I missed that part of the chat. We are in our last field. I think we finished up last year around October 16, but this year is a whole other horse of a different color. Praying everything holds together. Such a good question Lana, maybe I should go back in and explain that..I think I will. 🙂 We actually store our corn in bunkers because we feed it to our cattle. So exciting to be in your last field!!! I will keep you guys in our prayers to finish out the year soon and safely! 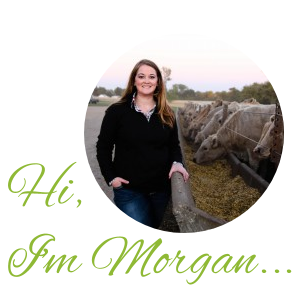 Awesome video SDFarmWife!I’m actually new to farming and how to store my Animal Feed so your post is very informative! Thank you Mike! I am glad you enjoyed it.